It's time for one of those catch-up posts that comes along every once in a while. Sometimes it means I've been neglecting the blog and others it means we've just had a glut of similar films in a row. Believe it or not, in this case it's both, with awards season bringing a number of biopics that mostly got through the murky territory of biopic blah unscathed- The Imitation Game, The Theory of Everything and Unbroken. The former of these is the most embarrassingly overdue- I saw The Imitation Game at the same time as it opened the London Film Festival back in October and then didn't get around to reviewing for three months (at this rate, you can expect a review of The Hobbit around the time they decide to remake it.) 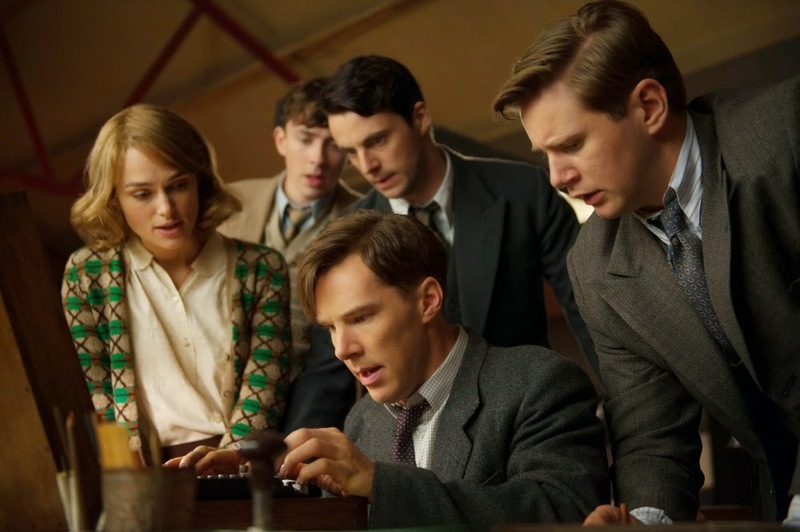 Taking place over three separate time periods, the film brings the shamefully under-appreciated life of gay war hero Alan Turing to light, covering his formative years in boarding school, his critical contribution to cracking the Enigma code at Bletchley Park, and the terrible fate that Britain's intolerant post-war justice system bestowed upon him. We've been hearing about this film as it moved through development, ever since it topped the Black List of unproduced screenplays a few years ago. Films from that list don't always turn out great, (it seems surprisingly easy to make a bad movie of a great script) but the solid writing is part of what buoys this one to success. In the execution, director Morten Tyldum has also done a good job of getting the audience emotionally involved, to where you're actually quite righteously cross about the story upon leaving the cinema. In the lead role, Benedict Cumberbatch is pretty damn good, even though there's a bit of Mark Zuckerburg-ing and, indeed, Sherlocking to bring Turing up to what a modern young audience considers to be the "smartest guy in the room" shtick. With a lesser performer than Cumberbatch, it could have gone dangerously Sheldon Cooper-y, but he's cast well, and that also applies for his younger counterpart, played by newcomer Alex Lawther on show-stealing form. Keira Knightley continues her post-Pirates streak as Turing's best friend Joan Clarke, and Mark Strong delivers another versatile performance as an inscrutable spymaster. Extra kudos should go to Rory Kinnear, Matthew Goode, Allen Leech and James Northcote, but as the film is stuffed with the kind of grand and earnest performance that populates this kind of film at this time of year, it's really worth handing it to the delivery. In jumping between three different time periods, The Imitation Game could easily have caved in on itself, but Tyldum lavishes equal importance on the three tiers of the story, drawing lines between them and presenting an intriguing and poignant portrait of a man who was, in all likelihood, a mystery to the audience before viewing. If the net result is only that Turing's story becomes more widely known, then that will be enough. By that measure alone, the film succeeds, even if it's not entirely above charges of simplifying the events for a cinematic treatment. The Imitation Game is still showing in selected cinemas nationwide. Still, as it was in Birdman, there's one regard in which ignorance can be an unexpected virtue, when it comes to this kind of biopic. If you, like me, have next to no idea about the personal life of Professor Stephen Hawking beyond what you gleaned from his guest turn on The Simpsons, then The Theory of Everything may just have a couple of plot turns you don't see coming. 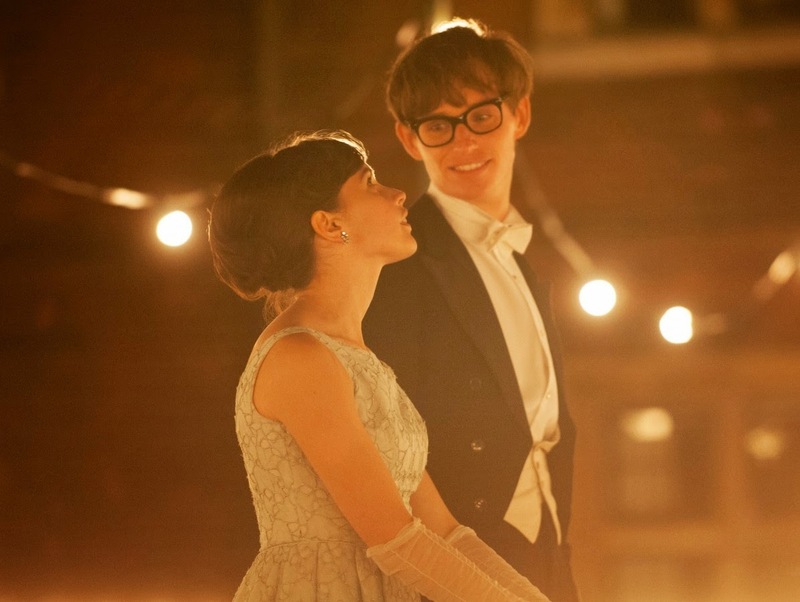 Based on Jane Wilde Hawking's memoir Travelling To Infinity, the film starts with the prodigious young Hawking arriving at Cambridge as a bespectacled teenage geek. He immediately hits it off with an equally besotted Jane while working on his PhD thesis, based on time and black holes. Stephen's promising academic future hits a stumbling block when he is diagnosed with motor neuron disease and told he has two years left to live. Nevertheless, Stephen and Jane pull together and vow to make a life of it, despite this grim prognosis. "Grand" and "earnest" are once again the order of the day, particularly when the biopic involves such a triumph of willpower over impossible odds as Hawking's struggle. This particular story has been depicted before (and played by one Mr. Cumberbatch, even) but the more askance romantic angle has won the interest of audiences. The result feels a little tame, but again, it's worth seeing for the performances. Eddie Redmayne wrings tremendous empathy from a very difficult role, doing some great mischievous eye-acting when his character loses his own voice. He sells the geeky side of things well, in his early courtship with Jane and in more unexpected ways later on, when he uses his new-fangled computer to impersonate HAL-9000 and then a Dalek. It's the stuff that wins Oscars, and yet somehow he is still outshone by Felicity Jones. She has the less tough role, certainly, but she's phenomenal as Jane, endlessly supportive and devoted, but with hidden depth. Just as Redmayne can't rely on his voice, Jones' sad smile suggests so much more to the character. The introduction of a very earnest Charlie Cox as a helping hand, Jonathan, provides a frisson that feels contrived for the movie, but actually comes right from reality, but Jones carries it off magnificently. The Theory of Everything comes as an emotionally powerful combo of ITV drama and Instagram filtered montage, but for all of director James Marsh's flourishes and composer Jóhann Jóhannsson's plinky plonky motifs, the heavy lifting is done entirely between a pair of mischievous eyes and a sad smile. Redmayne and Jones are the first, best reason to see the film, which would otherwise be another remarkably unremarkable take on a story of great adversity. If this is the scoop on the Hawkings' home life for most audiences, then it's a soft scoop. The Theory of Everything is now showing in cinemas nationwide. Finally, a film that's not quite the sum of its considerable parts, representing a story that is so much bigger than all of them put together. Angelina Jolie's second directorial effort, Unbroken, is based on the large life of the Italian-American Olympic sprinter Louis Zamperini, and his time serving the US Air Force during the Second World War. After a catastrophic sea landing, Louis and his surviving comrades are lost at sea until they are picked up by the Japanese and thrown into a POW camp. The film follows Louis' ordeal and pays tribute to his extraordinary resilience. The film reminded me of nothing so much as a latter-day Clint Eastwood film, except that Eastwood is usually workmanlike and relatively un-dazzled by the subjects he tackles. Jolie takes that same tone, which is perhaps why some critics took so strongly against what they perceived as pandering and Oscar-baiting. But there's at least a more obvious emotional investment in the extraordinary figure at the centre of this than has been present in many Eastwood films of recent years, including the Jolie-starring Changeling. As mentioned, Jolie has certainly put together a world-beating bunch of people to bring the film to the screen, from cinematographer Roger Deakins to composer Alexandre Desplat, The Coen brothers have a credit on the script, although only a couple of traces of their style can be found (a setpiece in which Louis gets punched in the face by every other prisoner in the camp feels of their design) with William Nicholson and Richard LaGravenese also contributing to a screenplay that feels flustered by the sheer eventfulness of the life that inspired it. The structure winds up being quite scattershot as Jolie gracelessly ping-pongs between setup and Louis' pre-war life, with little bearing on the "present" stakes. Likewise, we feel every day of the time spent lost at sea before the more brutal POW parts. Holding it together with the same willpower as his character, Jack O'Connell caps a hell of a year with his powerhouse performance, once again making the most of his physicality and getting so much said without even opening his mouth. Whatever Unbroken's intentions as far as picking up little gold blokes, it plays things cool enough to bely its breathless reverence for its subject, but loses a lot in the way of personality along the way. By the time things start getting really arduous and nasty, it only feels punishing, and yet it's not the roughest time that O'Connell has had in a movie prison in the last 12 months, after Starred Up. Nobody has left anything on the table, and yet it falls short of the impact that this extraordinary story would have on the page, in Zamperini's own account. 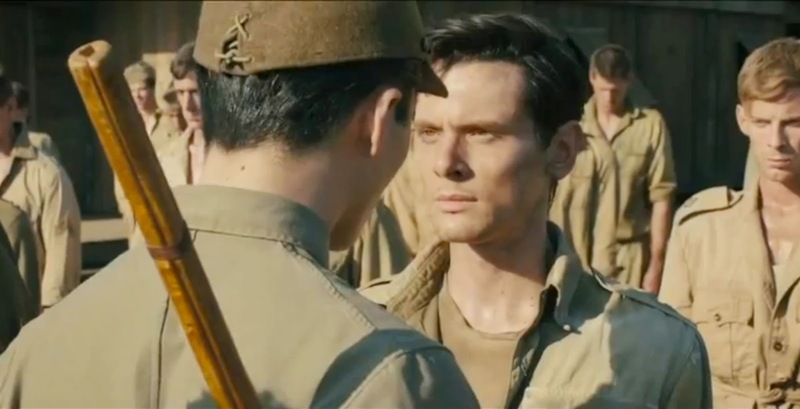 Unbroken is still showing in cinemas nationwide. There's a round of biopics done- if you're bored of waiting for my verdicts on this stuff, you can check out my up-to-the-minute reviews by following me on Letterboxd. 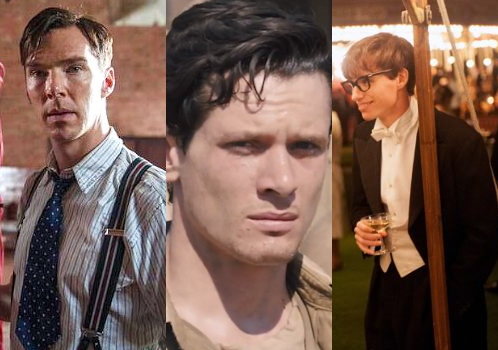 In the meantime, leave your comments if you've seen The Imitation Game, The Theory of Everything or Unbroken.